B&S Steel have a fast delivery service throughout Berkshire. If you need steel supplies whatever the size of your project, come to us. 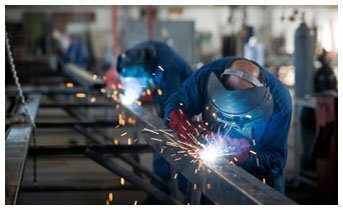 We have a vast range of steel and stainless-steel materials including angles, steel fabrication and steel reinforcement. It doesn’t matter whether your building project is large or small. We have all the steel materials you’ll need. We stock PFC channels, steel beams and columns, aluminium sections and much more. Browse our website. If you can’t see what you’re looking for then give us a call. We’ll do our best to find it for you. We are the first choice for our customers in East London who know they can rely on us for quality and service. Our friendly team are here if you need any help or advice. You can request a call-back, use our contact form or give us a call. Whatever steel materials you want to buy, we’ve got the stock. Order today for fast delivery in the East London area.